, we released the beta of Google Cloud Debugger with support for Managed VM based projects. Today, we’re expanding support for Google Compute Engine based projects. Now you can simply set a snapshot on a line of code and Cloud Debugger will return local variables and a full stack trace from the next request that executes that line. Say goodbye to littering your code with logging statements. Cloud Debugger is available on both production and staging instances of your application and adds zero overhead on services that aren’t being actively debugged. The debugger adds less than 10ms to request latency when capturing application state and doesn’t block or halt execution of your application. Stay tuned for support for other programming languages and environments. As always, we’d love direct feedback and will be monitoring Stack Overflow for issues and suggestions. 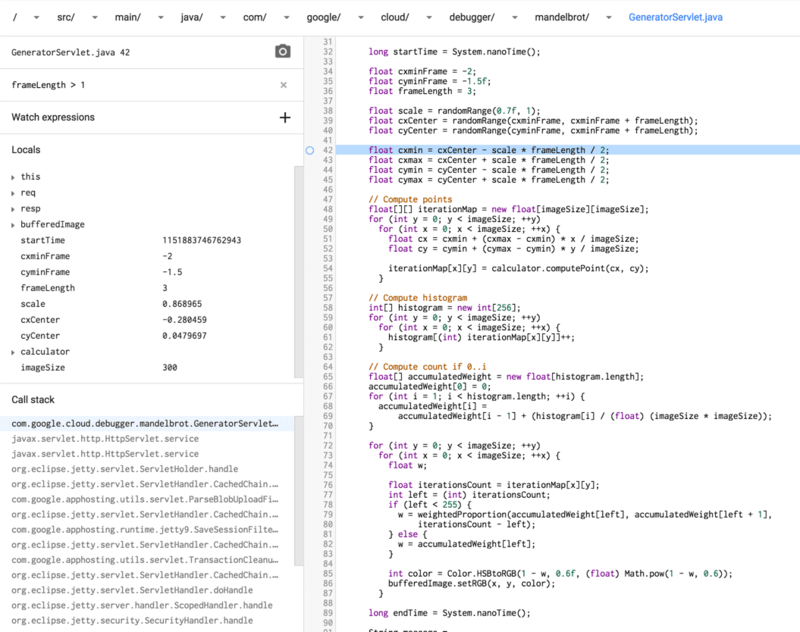 Back in November, at Google Cloud Platform Live, we released the beta of Google Cloud Debugger with support for Managed VM based projects. Today, we’re expanding support for Google Compute Engine based projects. Now you can simply set a snapshot on a line of code and Cloud Debugger will return local variables and a full stack trace from the next request that executes that line. Say goodbye to littering your code with logging statements.